If you are using Twitter then you defiantly know about what is Hootsuite. Hootsuite offers free service till now, but now onwards they have added a Premium service too. Today in official Hootsuite blog post they have posted about premium service feature and pricing details. Here is quick look on it. 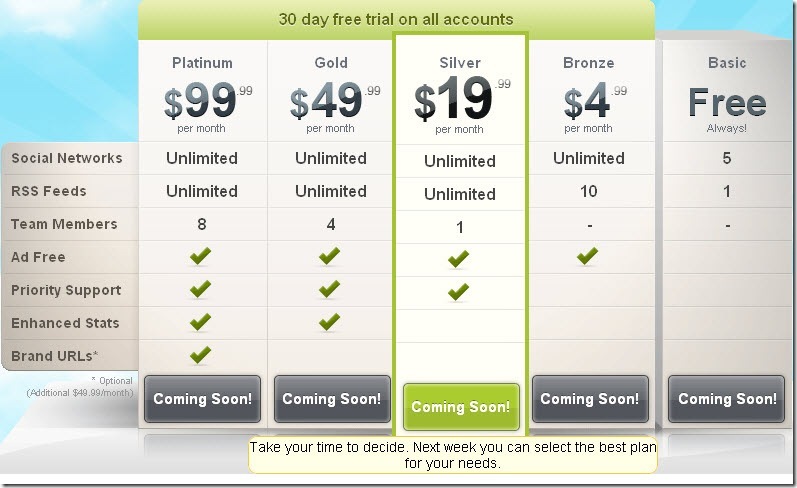 With premium service, users can get some special benefit compared to free service. They have launched two types of plans, one is called Pro Plans and another one is Enterprise Package. In pro plans we find 5 types of plans, where free or Basic plan also includes in this list. Here is the price list and difference between plans of Pro Plans. The above plan is just a pro plan, they have another one plan is there called “Enterprise Plan“. In Enterprise plan you will be charged $1499/Month. 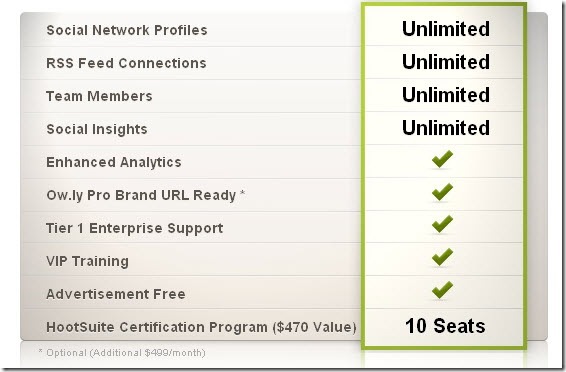 You can get 30 days free trail on all Pro Plans, but not on Enterprise Package. I think they will add some restriction on free accounts. You can see RSS Feed is limited to only 1, they need to increase that number otherwise they may miss few regular users. What you think about this premium service offered by Hootsuite? do like this service?